The Jewish Community of Stockholm. An independent association whose main purpose is to spread information and knowledge about Jewish life in Sweden. Shir Hatzafon - Progressiv Jødedom i Danmark. Shir Hatzafon is a progressive Jewish congregation in Denmark. The words Shir Hatzafon are Hebrew and mean "Song of the North." 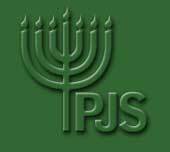 Our purpose is to promote and support the development of a Progressive Jewish community in Denmark. The World Union for Progressive Judaism serves congregations and communities in nearly 40 countries, encompassing more than 1,200 Reform, Progressive, Liberal and Reconstructionist congregations. The EUPJ works to foster and stimulate the growth of Progressive Judaism throughout Europe. The synagogue organization for Reform Judaism in the United States. The educational and intellectual center of Reform Judaism. Leo Baeck College provides the future leadership of the Progressive Jewish community in the UK, Europe, FSU, Australia, South Africa and worldwide by training rabbis and teachers. Don't forget to include your name on the payment.